Seattle Indivisible is an effective, progressive, inclusive and persistent grassroots organization inspired by the nationwide Indivisible Movement. Our purpose is to defend our democracy and the progress we have fought so hard to achieve, and to take direct action to effectively move this nation forward. We empower people who care about our values and work closely with communities most harmed by the current administration’s regressive policies. To achieve our goals, we need leaders who share our values and will effectively advocate for them. Seattle Indivisible endorses U.S. Representative Pramila Jayapal (WA-07) for reelection. Pramila Jayapal was the first congressional leader to effectively highlight the family separation crisis and has shown a willingness to put herself personally on the line for equity causes that fundamentally define the character of our nation. She consistently votes our values and makes herself readily available to her constituents through frequent Town Halls and meetings. She has opened her door to Seattle Indivisible and many other progressive advocacy groups and shows up with a powerful voice to support the causes we care about. But more than that, Pramila Jayapal is a movement leader. She was a progressive grassroots organizer before she was elected to Congress, and her organizer approach is exactly what is needed in Congress at this critical juncture in our political history. Seattle Indivisible endorses U.S. Representative Adam Smith (WA-09) for reelection. Adam Smith has a strong voting record on a number of progressive equity issues we care about such as healthcare access, immigrant rights/protections, women’s reproductive rights and progressive taxation, and he was an early endorser of SeaTac’s groundbreaking $15 minimum wage. He is consistently accessible and responsive to his constituents; proactively scheduling Town Hall meetings, promptly and meaningfully responding to constituent inquiries. He has met to discuss issues with Seattle Indivisible every time we have asked and we believe he is well situated to make additional changes we want to see due to his leadership position in Congress. Adam Smith knows his district, stays in close contact with those he represents and has earned reelection. Seattle Indivisible endorses U.S. Senator Maria Cantwell for reelection. 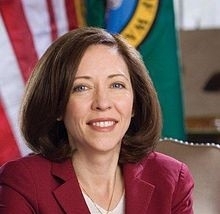 Maria Cantwell has been out front on important issues such as the environment and natural resources, net neutrality, women’s issues, Medicaid expansion and access to rural healthcare. We admire her intellect and deep understanding of the issues. Over the past two years she has responded to Seattle Indivisible urging her to be more open and accessible to her constituents by holding her first Town Hall meetings—five of them. She has met with Seattle Indivisible and has dedicated staff to deeply engage with us in weekly meetings open to the public while she is in Washington DC. We want to see Sen. Cantwell continue making herself more publicly available and visible, and we urge her to take bold public positions on critical issues earlier so that her strong leadership can influence other members of congress. At this critical juncture—more than any other in modern history—we need bold fearless leaders to stand up to this administration and help create a movement of change. For progressives, there is no contest between Sen. Cantwell and her opponent—we want Senator Maria Cantwell to be our bold voice. I-1631 (Clean Air Clean Energy WA) –Finally, the broadest of coalitions has come together to forge a serious, thoughtful plan to curb carbon emissions and blunt inevitable impacts of climate change in an equitable manner that incentivizes an inclusive new clean-jobs economy. Funds collected from carbon fees charged to large emitters will be spent on clean air, clean water and healthy forest projects and infrastructure. But what makes this ballot measure unique is its recognition that indigenous peoples, low income communities and vulnerable populations are often most impacted by the pollution we generate and are often the first ones to lose their jobs or be displaced when solutions are discussed. This ballot measure brought all these impacted groups to the table, along with environmental groups, labor and hundreds of stakeholders who together, intentionally designed a plan to make sure that vulnerable populations play a vital role in Washington State’s transition from carbon to clean energy. This ballot measure isn’t just an initiative to save our environment, it’s a plan for progressive environmental justice and Seattle Indivisible is fully on board. Ballots for the midterm election will be mailed on October 17, 2018, and must be returned by November 6, 2018. We hope our endorsements help, and that all of us will continue to listen, read and discuss the critical choices that will shape the future of our nation and our daily lives. The most important thing you can do to make a difference this year is vote in this midterm election and make sure everyone who shares our values votes too. Vote as if your life depended on it—because for many, it does!